Users expect sites to be fast. They expect them to be updated constantly and instantly. Advertisers expect their ads to capture the latest trends. New software systems are being built and open-sourced to help sites deal with this. In this Development session we are going to have Q&A with three of our speakers. First Steve Huffman will field questions on the use of Tornado and ZeroMQ at Hipmunk. Second James Phillips will reveal how AOL is able to target ads instantly. 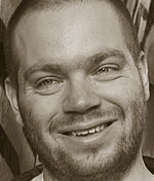 Finally Tom Hughes-Croucher will inform us about the latest developments in Node.js. Please note: Information you provide during the registration process will be shared with our sponsor. Steve Huffman co-founded the social news site reddit.com in 2005 with his college roommate. reddit.com has grown into the largest social news site and one of the largest communities on the Internet. In 2010, he co-founded Hipmunk, a travel meta-search site trying to take the agony out of searching for plane tickets online. As lead engineer at both these companies, he's had many technologies adventures and hopes to share his experiences. A twenty-five year veteran of the software industry, James Phillips started his career writing software for the Apple II and TRS-80 microcomputer platforms. In 1984, at age 17, he co-founded his first software company, Fifth Generation Systems, which was acquired by Symantec in 1993 forming the foundation of Symantec's PC backup software business. Most recently, James was co-founder and CEO of Akimbi Systems, a venture-backed software company acquired by VMware in 2006. Book-ended by these entrepreneurial successes, James has held executive leadership roles in software engineering, product management, marketing and corporate development at large public companies including Intel, Synopsys and Intuit and with venture-backed software startups including Central Point Software (acquired by Symantec), Ensim and Actional Corporation (acquired by Progress Software). Tom Hughes-Croucher is the Chief Evangelist at Joyent. He provides technology leadership and outreach on behalf of the company. Tom is the author of the upcoming O'Reilly book "Up and Running with Node.js". Before joining Joyent he was the Lead Technology Evangelist for North America and a Senior Developer at Yahoo!. Tom has contributed to a number of Web standards for the World Wide Web Consortium (W3C) and the British Standards Institute (BSI). He is worked with some of the world's leading brands including NASA, Yahoo!, Tesco, Three Telecom and the UK's Channel 4 Television. Joyent is a cloud software start up specializing in low latency, high-performance data center software.